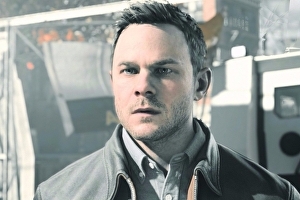 Quantum Break on Steam brings a much-needed performance boost to the game thanks to the use of DirectX 11 – an API the developer has stated it is much more using. This comes six months after the Windows Store version, a controversial DirectX 12 release that sadly shipped with a slew of bugs, optimisation quirks and stability issues. For the best experience at the time, Xbox One offered a better-optimised package with fewer grievances, while Windows Store customers were forced to wait some time for patches to rectify certain issues – but to this day, issues still remain. The move back to DirectX 11 in this Steam release is great news for older Windows users of course, where previously it was exclusive to Windows 10’s online store. Curiously, it’s confirmed there’s no DirectX 12 executable included at all on Steam right now – a surprising move, but justified in part by Remedy’s confidence that DX11 is better optimised for most machines. We can confirm visuals are identical at the top ‘ultra’ settings on either API, but it’s Nvidia GPUs in particular that benefit from higher frame-rates on the Steam re-issue. We look at the GTX 970 first, a card that had serious issues with stutters and freezing when we first tested the game on DX12. With the latest GeForce 372.90 drivers installed, we run both the Steam and Windows Store versions on a Windows 10 machine, paired with an i7 4790K and 16GB RAM. In terms of visuals settings to tax this hardware, we set it to 1080p, ultra settings, and use the game’s upscaling mode too. This constructs a full HD framebuffer using temporal supersampling from a base 720p image.